Saginaw Bay #walleyefishing in the bay is moving into its mid-summer pattern. The walleye are moving out to deeper water with the best fishing out in the middle of the bay in 22 to 30 feet from the Spark Plug (Buoys 11 & 12) out to Buoys 1 & 2 at the end of the shipping channel. Boats from both sides of the bay have been converging on that area. Walleye were still coming from the Slot especially in the area outside the islands off Bay Port, and a lot of boats were fishing around the buoy off the end of Sand Point. From Caseville, walleye anglers were trolling around the tip of Sand Point, off Oak Point and the reefs between Caseville and Port Austin. Most are using a crawler harness but a few were using a flicker-shad or spoons in an effort to avoid catching freshwater drum. Perch fishing was starting to pick up around sailboat buoys A & B off Linwood with worms or fathead minnows. 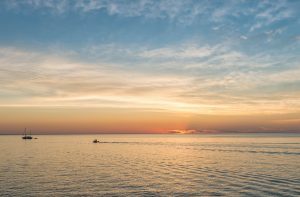 Au Gres Area walleye anglers are fishing in 15 to 40 feet between Point Lookout and Pointe Au Gres or are going out to the Charity Islands. Boats fishing off the mouth of the Pine River in 10 feet were getting a few perch. Catfish anglers were doing well at night off the wall along the Au Gres River. 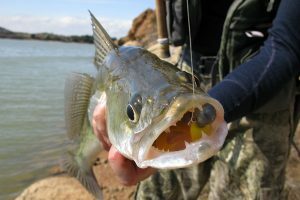 Grindstone City catch rates for walleye were spotty. Most were fishing in 30 to 45 feet with a crawler harness. Bass anglers were doing well off Eagle Bay in six to eight feet. Oscoda salmon, trout and walleye were scattered throughout the water column. Lake trout were taken on spoons, dodgers with spin-glo’s, and meat rigs with flashers in the bottom 20 or 40 to 50 feet down in 85 to 120 feet. Lake trout, steelhead, Atlantics, coho and small Chinook were caught on spoons and meat rigs with flashers 30 to 50 feet down in 140 to 160 feet around the “Humps”. Walleye were caught in the top 30 feet. Pier anglers caught freshwater drum, channel cats, rock bass, smallmouth bass and a couple walleye when still-fishing with crawlers. Crappie and channel cats were taken on jigs with minnows at night. Au Sable River, small walleye were caught between the railroad trestle and the mouth by those drifting crawler harnesses through the holes. Try night fishing or target the deep, shaded holes in the early morning or evening. 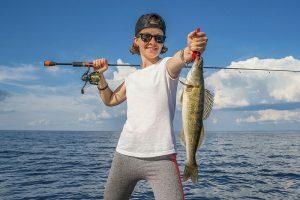 Channel cats, carp, smallmouth bass, freshwater drum, and rock bass were caught by those still-fishing or drifting crawlers. 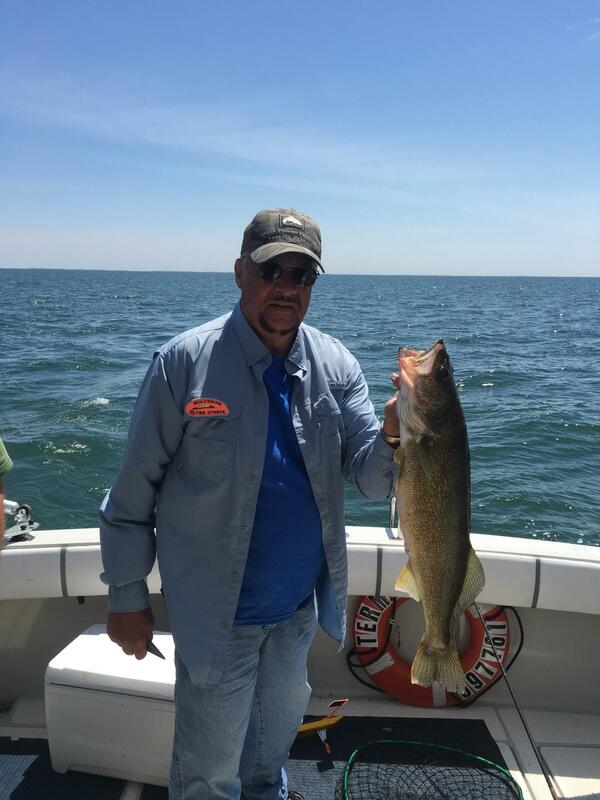 Tawas Area #walleyefishing was good on the right day in 35 to 65 feet from Buoy #2 south to the Crib off Alabaster and out around Big Charity Island. Some perch were caught near Buoys 4 & 6 in 15 to 20 feet. Smallmouth bass fishing was good with soft plastics. Pier fishing was slow. Tawas River fishing is summer slow with only the occasional carp, freshwater drum or bass taken. Are you familiar with using downriggers? 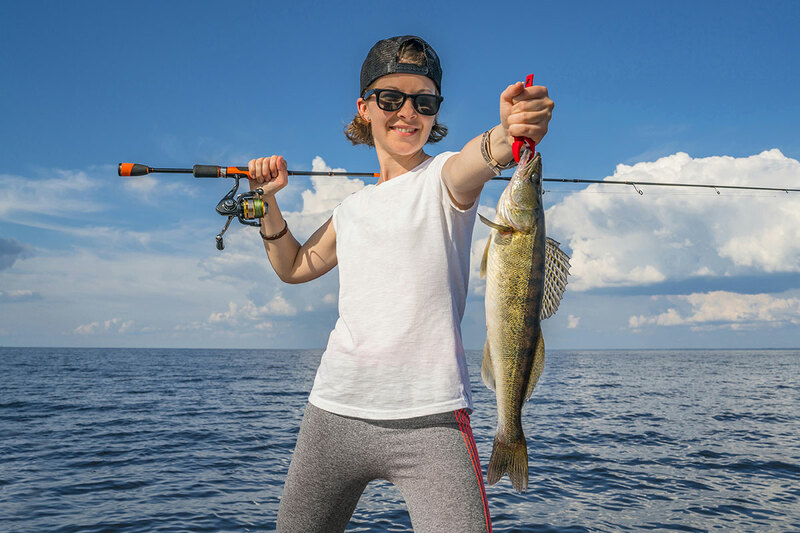 This tool is ideal when fishing the Great Lakes as it allows for controlled-depth fishing and targeting species suspended in the water column. Here are three things to keep in mind if you’re considering using a downrigger in the future. 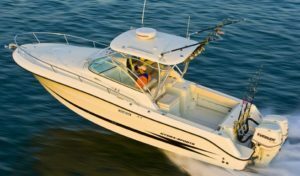 Making a choice between manual and electric depends on how much you want to spend, how often you fish, and how big your boat is. Manual downriggers are less expensive than electric but require more work on the part of the angler. This is the weight lowered by the downrigger that is attached to your lure. 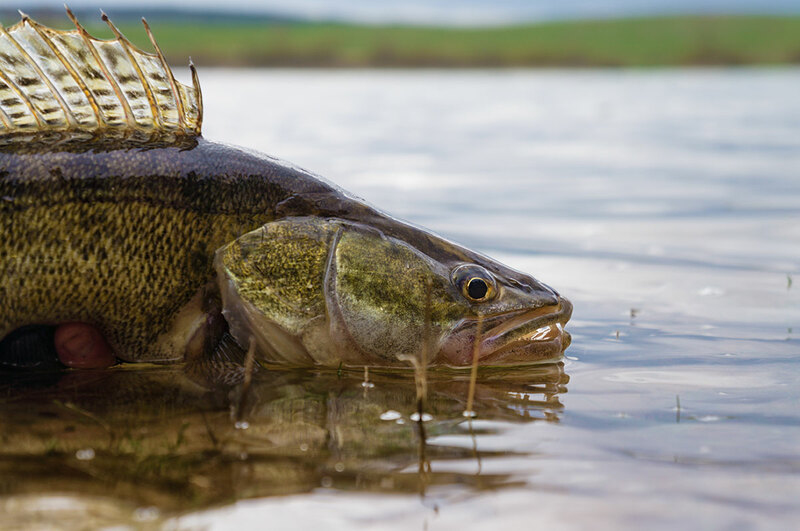 These weights usually range from four to 14 pounds, make your selection based on how deep you intend to fish (the deeper you go the more weight you need). This is the amount of line between your cannonball and your lure. It also determines how your lure acts in the water. The deeper you fish the shorter the lead needs to be. 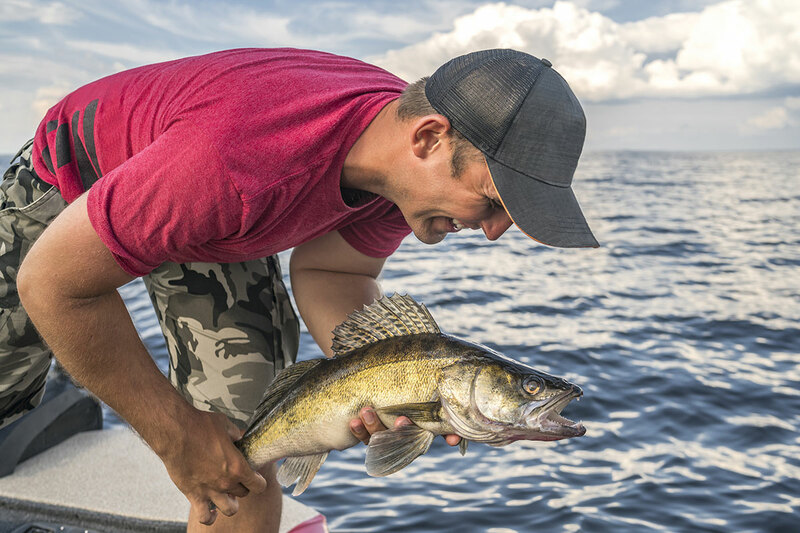 Want even more information on fishing the Great Lakes? Check out our Roadmaps to Fishing them!